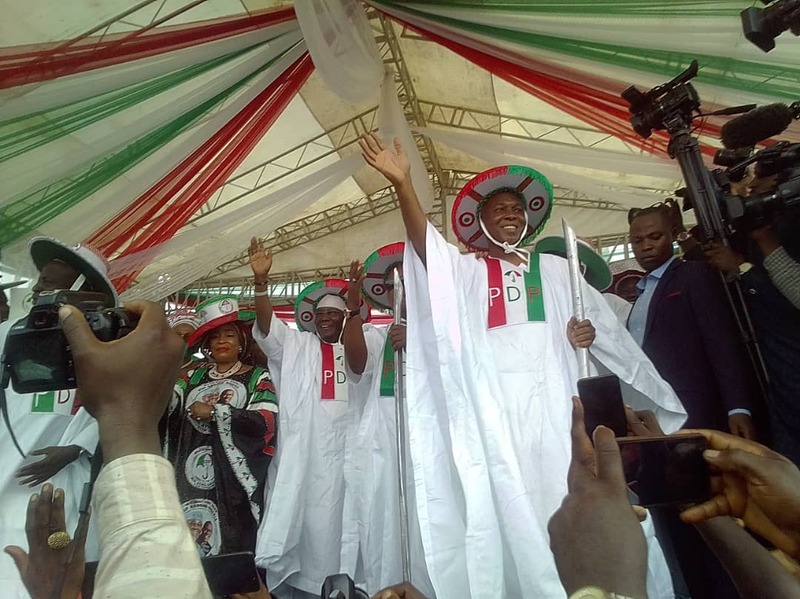 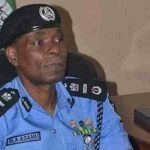 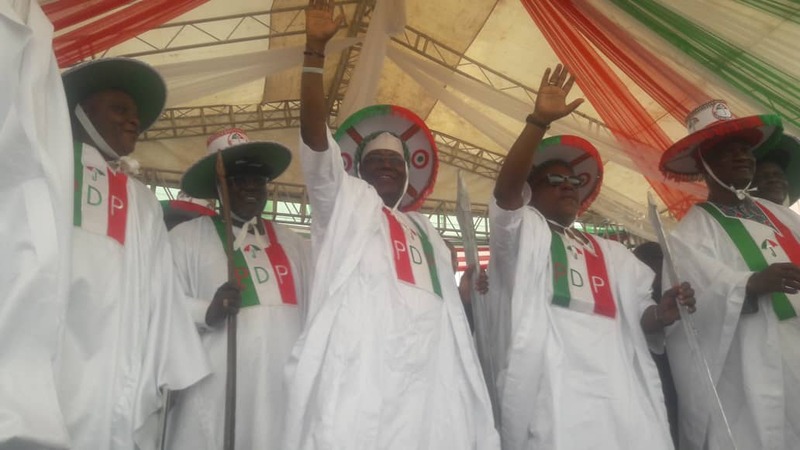 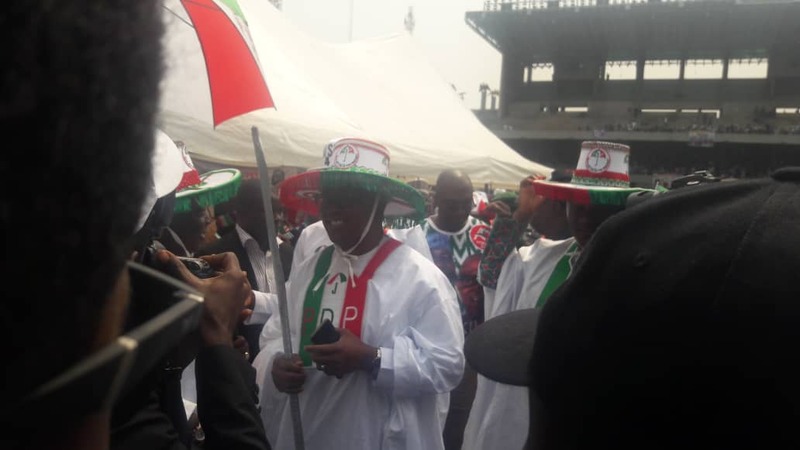 The train of the presidential campaign of the Peoples Democratic Party (PDP) moved to Lagos State on Tuesday, four days before the 2019 presidential election. 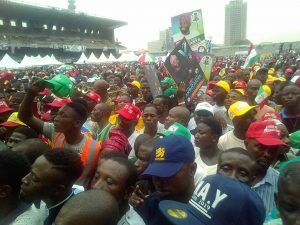 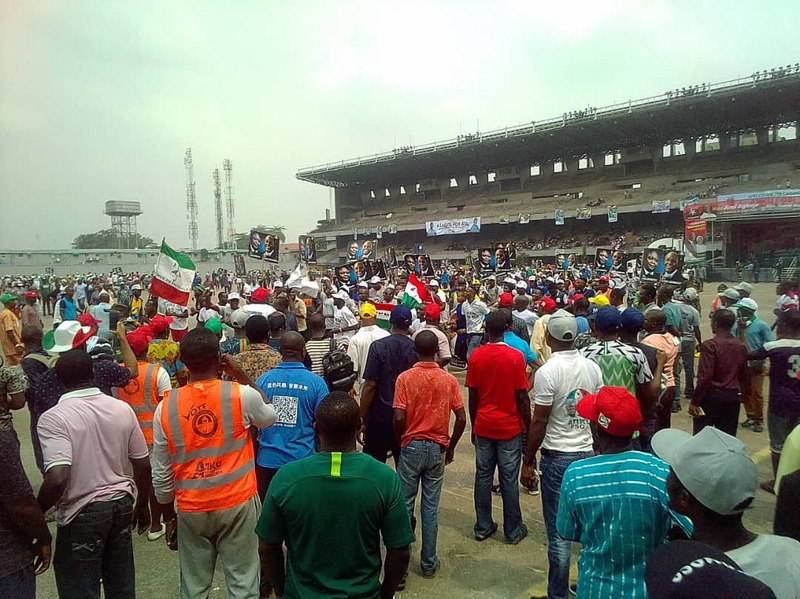 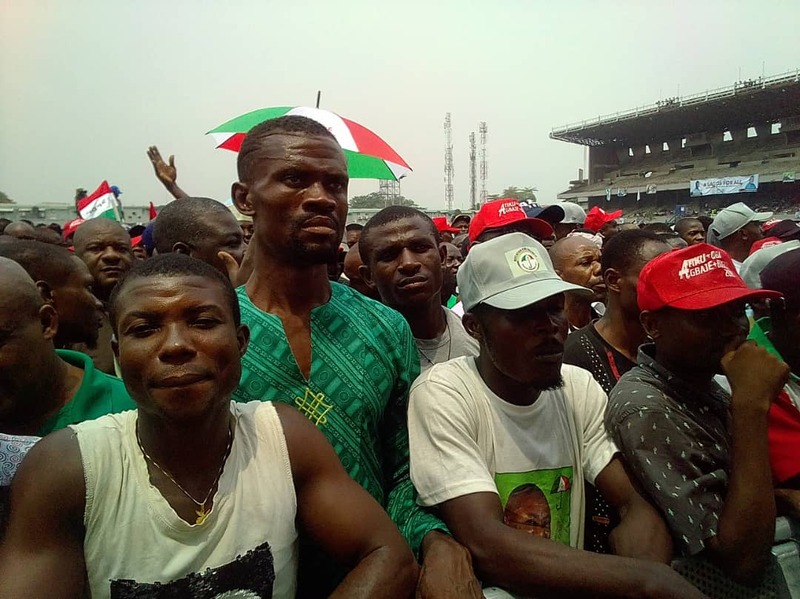 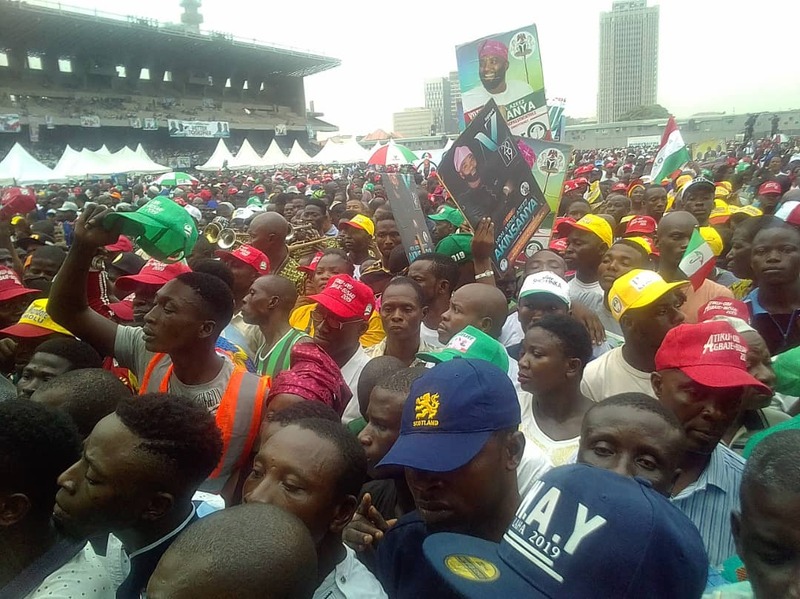 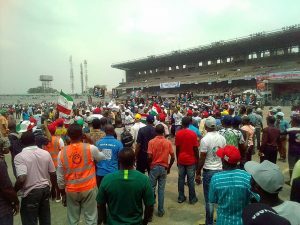 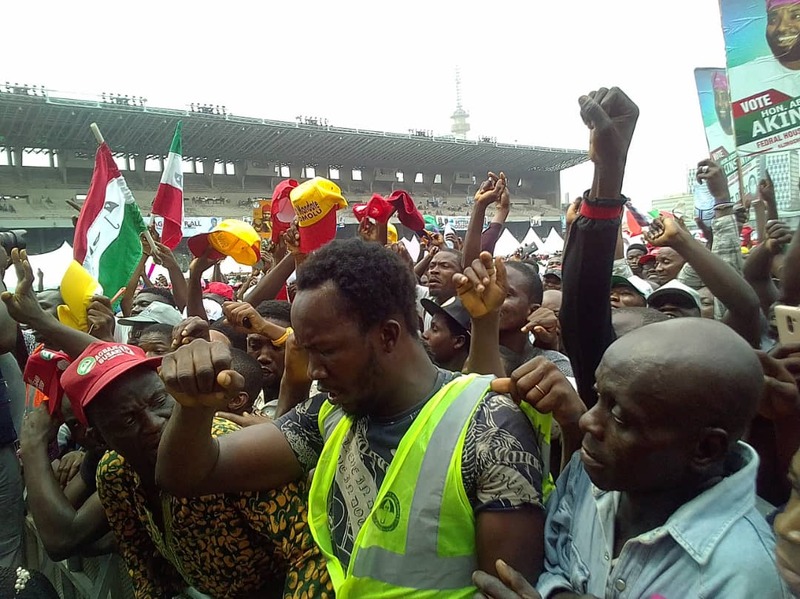 A large crowd with supporters from various areas of the state have besieged the Tafawa Balewa Square in Lagos Island, venue of the rally, to hear from Atiku Abubakar, the PDP’s presidential candidate, and his vice, Peter Obi. 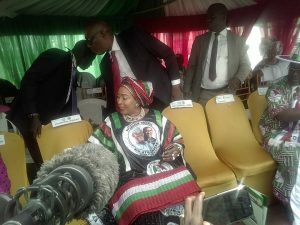 The venue was a beehive of activities as several supporters were seen by Newsbreak’s correspondents adorned in the party’s outfit, singing and dancing to various songs and loudly chanting the name of the opposition party presidential candidate. 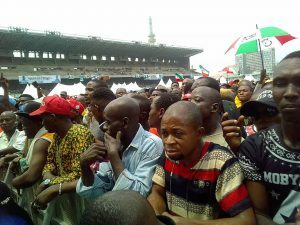 Small food and business vendors were also not left out as they were seen making brisk business sales due to the large number of people at the event venue. 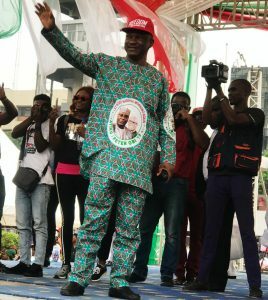 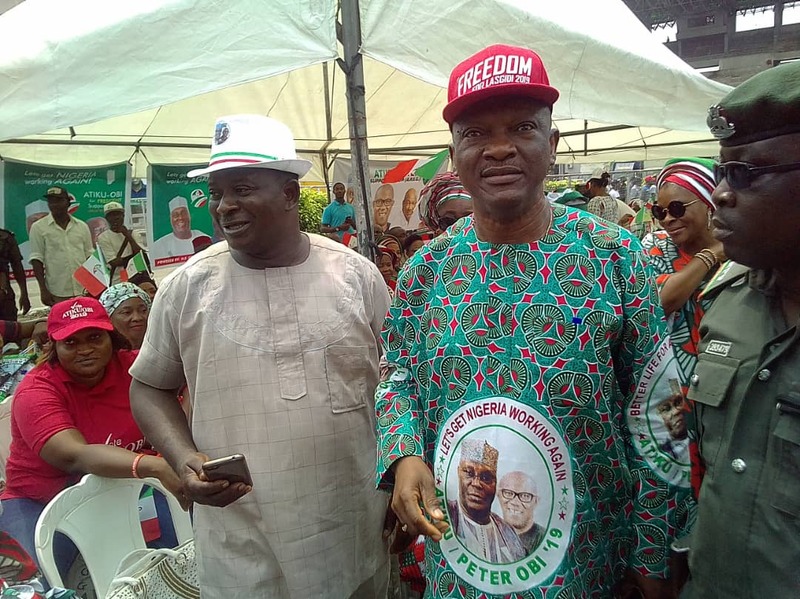 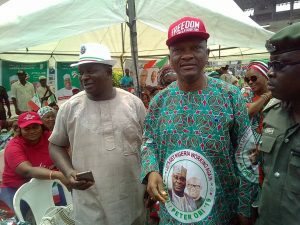 Jimi Agbaje, the PDP governorship candidate in Lagos State, was one of the PDP chieftains who arrived at the venue to rapturous applause. Also at the venue was Titi, the wife of the PDP presidential candidate, as well as Bode George, a chieftain of the PDP in Lagos. 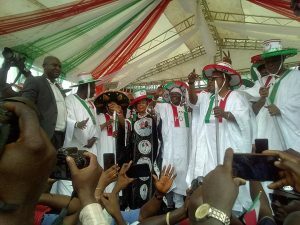 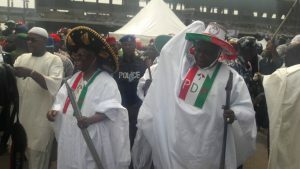 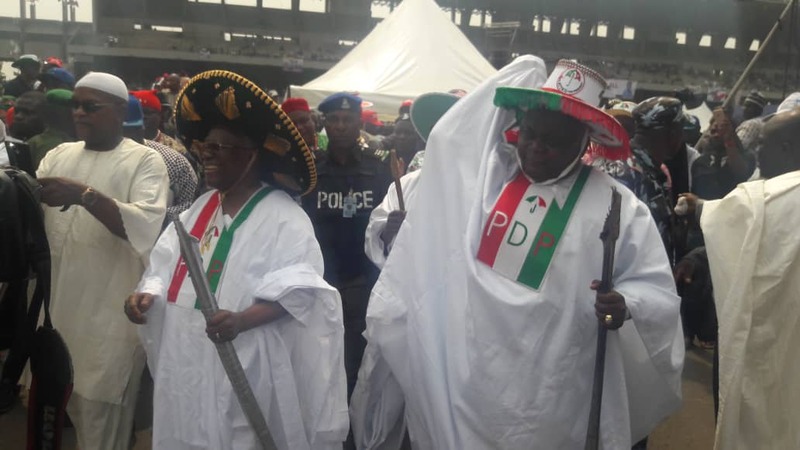 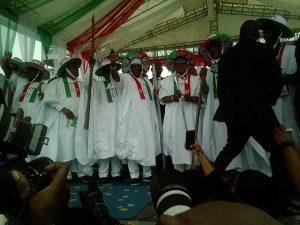 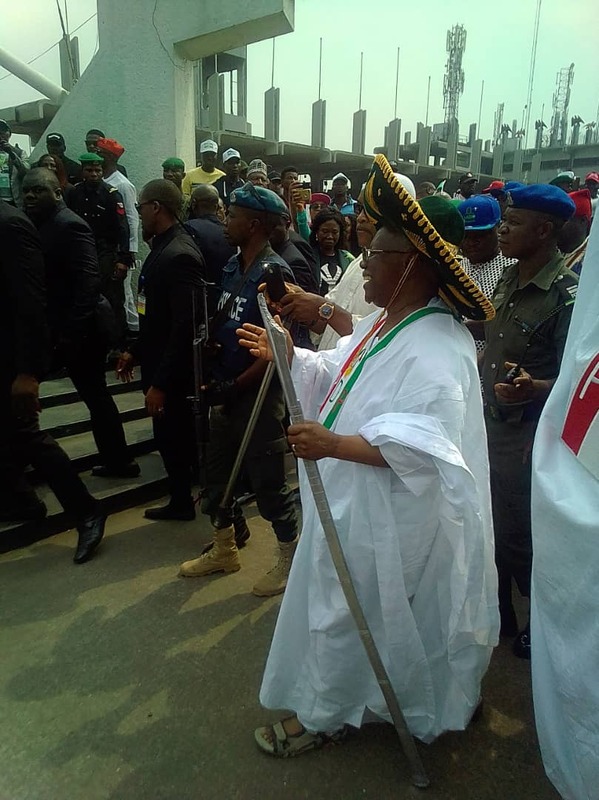 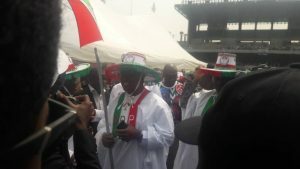 Obi arrived at the venue at about 2:43 pm, adorning a PDP branded Eyo masquerade-like clothing. 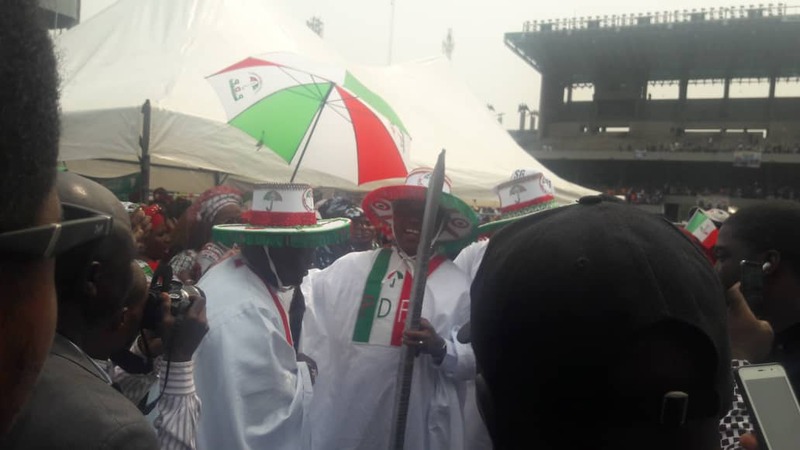 Atiku arrived at the venue in the company of Senator Bukola Saraki, the Senate President and Chairman of the PDP Presidential Campaign Council; Uche Secondus, PDP National Chairman; and Ayodele Fayose, a former Ekiti State governor, to loud cheers from teeming party supporters at about 2:53 pm.